Wait a few minutes for the drive to boot up. Open the YoYotta app. 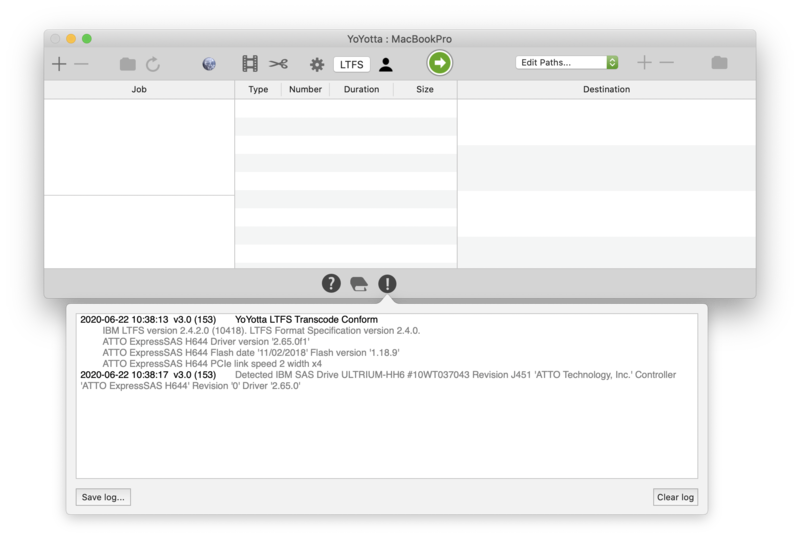 Now click the LTFS button on the toolbar of YoYotta. This will check and prompt to download the LTFS frameworks needed. Wait until the message Update completed OK appears. YoYotta LTFS will now be able to control this drive. Check the Support page to watch a video showing LTFS archiving along with links to all the help topics. If the drive does not appear then follow the instructions below. If the mTape is not shown then try reconnecting the cable and power cycling the unit. 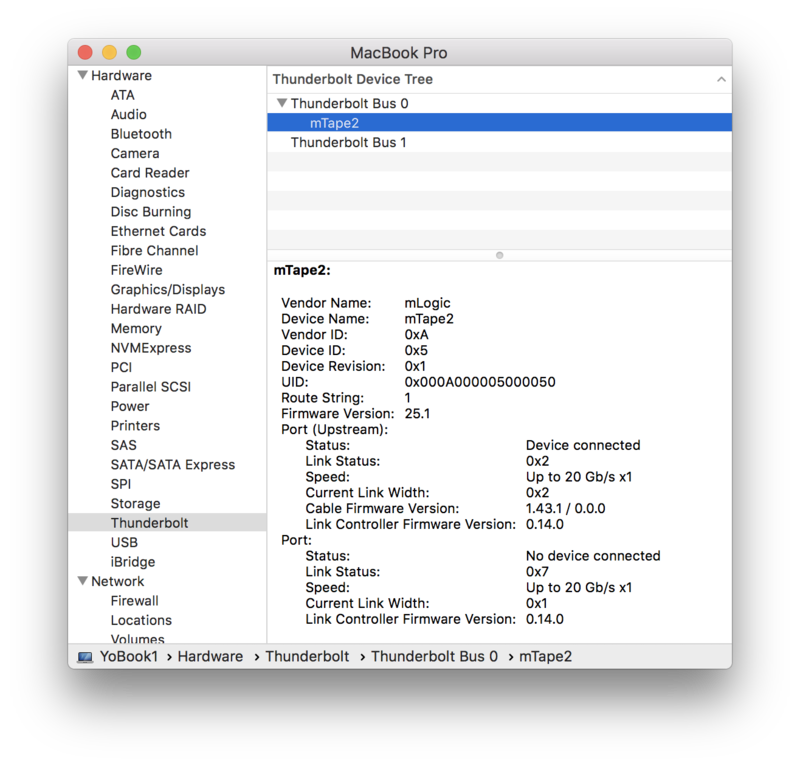 The first time after you install drivers on a new High Sierra system, you will need to approve the new System Software. 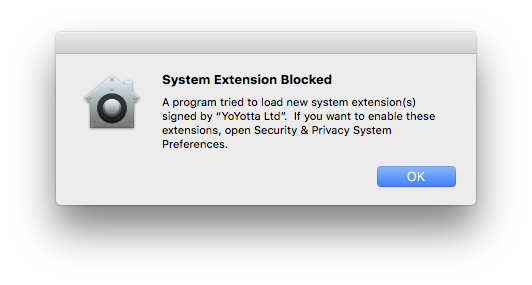 New installs of system software from YoYotta, OSXFUSE (developer is Benjamin Fleischer) and other drivers may need approval. 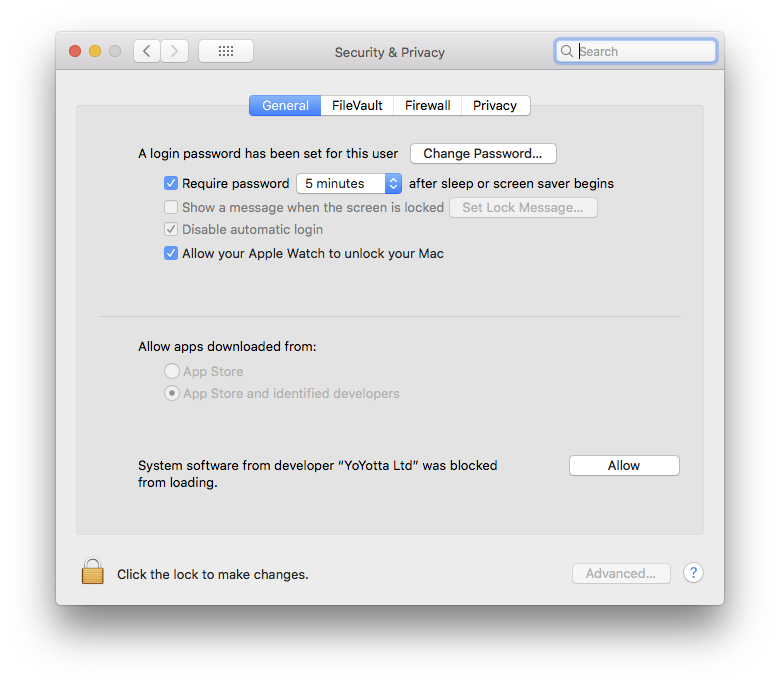 Open the Security & Privacy page in Apple System Preferences, unlock the padlock and click Allow to enable the System software to load. 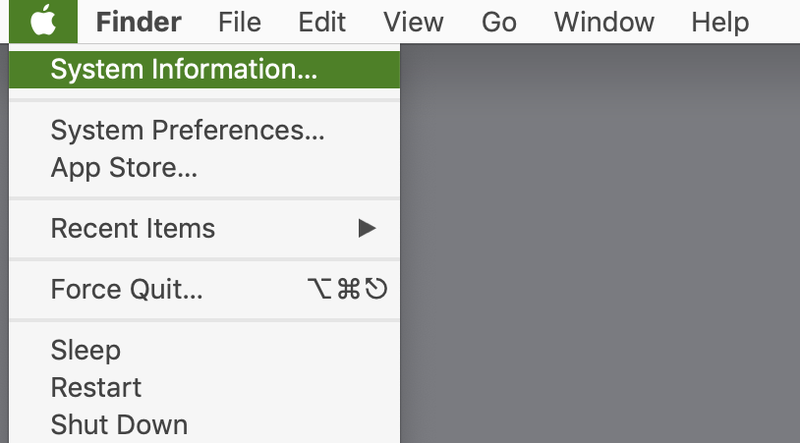 You must click the Allow button directly on the Mac, clicking using remote screen sharing will not work. If the Allow button is not shown then reboot your Mac and check the Security & Privacy page again. Make sure the mTape drive is connected and powered on, now a SCSI Target Device @ 0 is shown. This is the SAS tape drive. The System Information page does not refresh automatically. 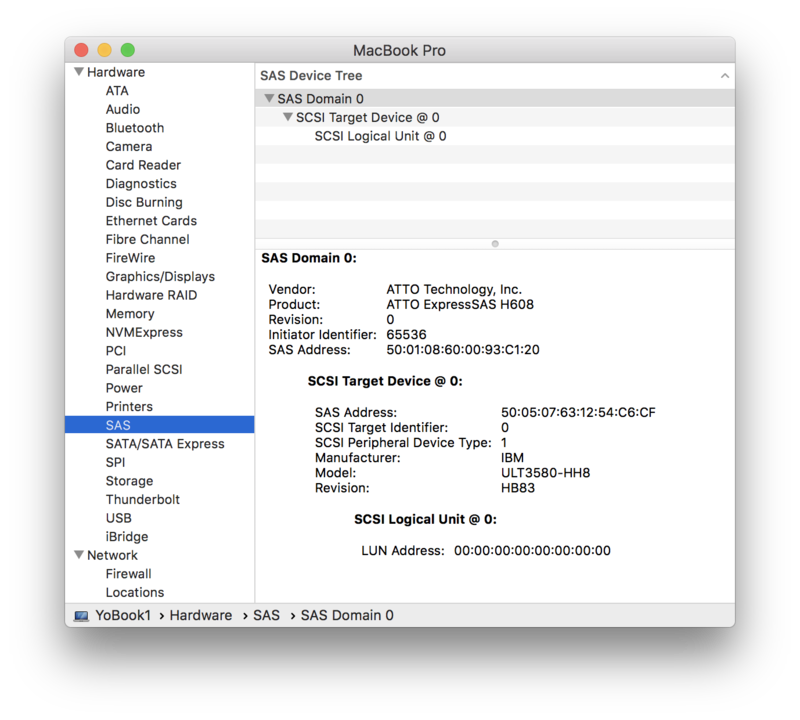 Click File, Refresh Information or Command + R to refresh the hardware listing. In the log there will a message showing that the drive has been detected. Now click the LTFS button on the toolbar of YoYotta. This will check and prompt to download the LTFS frameworks needed. Wait until this completes, then open the panel again.